Twin Cities Wine Education is proud to present a complete overview of Sonoma County, with the wine traveler in mind. Join sommelier Jason Kallsen as he takes you on a journey through ‘America’s Tuscany,’ otherwise known as Sonoma County. 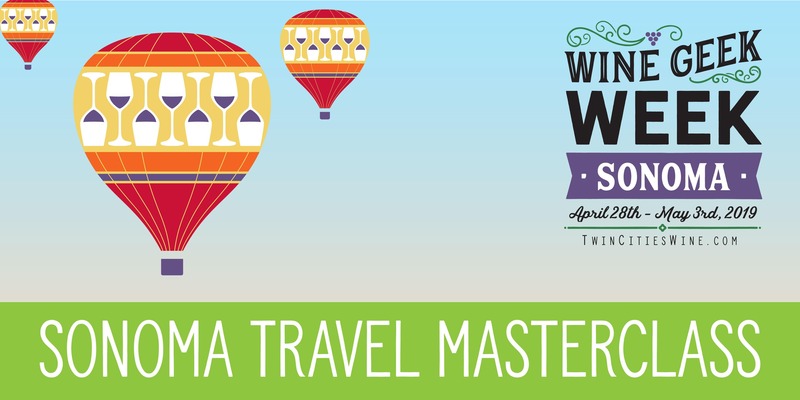 This class is comprehensive, detailing every American Viticultural Area in the county while also giving you hints and tips for great travel. You’ll learn the different weather patterns of the county and how that determines the grape varieties planted (including a full review of the newest AVA, the Petaluma Gap). You’ll learn about the rise of Healdsburg from a sleepy biker bar town to the chic enclave it is today (and you’ll learn where to go other than Healdsburg for lunches, dinners, shopping, and more). You’ll learn about the fires of 2017 and the changes it has brought to the county. And most of all you’ll learn a huge amount of hints and tips regarding wineries, restaurants, views, lodging, and more to make the most of your Sonoma county journey. Six great Sonoma wines will be enjoyed while we have our discussion.